Here are some Family Items. Questions -- But No Answers. These photographs have been handed down through generations in our family. Today we do not know who these people are. We do not know who this couple is. 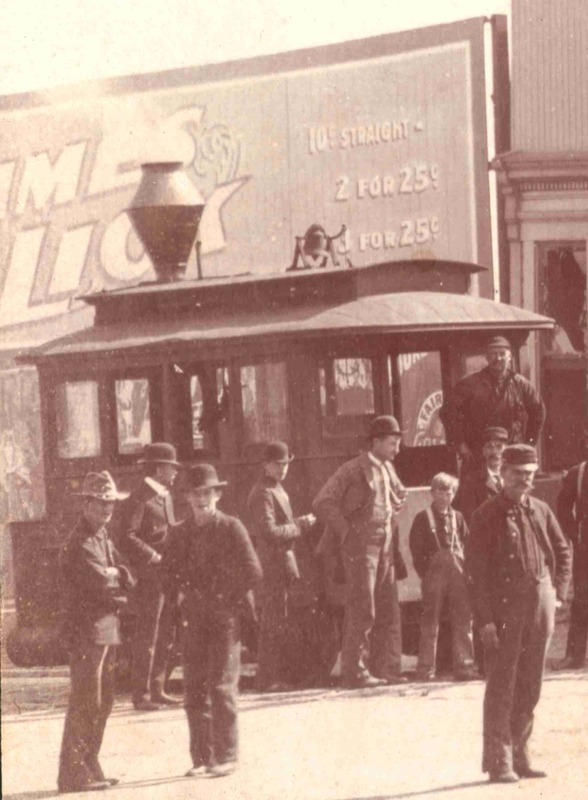 We have no record of our family living in or near Boston, Massachusetts in 1868 where the photographer was located. These photos were kept for many years by Jesse Perry Shore (1877-1950). They were handed down into our family on his death in 1950. These photos were taken nine years before Jesse Shore was born. They were important enough to be given to him, and for him to save them over many years. He kept many accurate records. He made a family heritage diagram showing several generations, now in our Family Gallery. He wrote descriptions on the backs of many photographs, but nothing is recorded on these. He died before his grandchildren were aware enough to ask about the family. These photos were probably shared among the family and friends. Perhaps someday other photos will surface in a family album saved by 'distant' relatives. We may yet know who these people are. Then we may learn how their life stories add to our family's rich heritage. 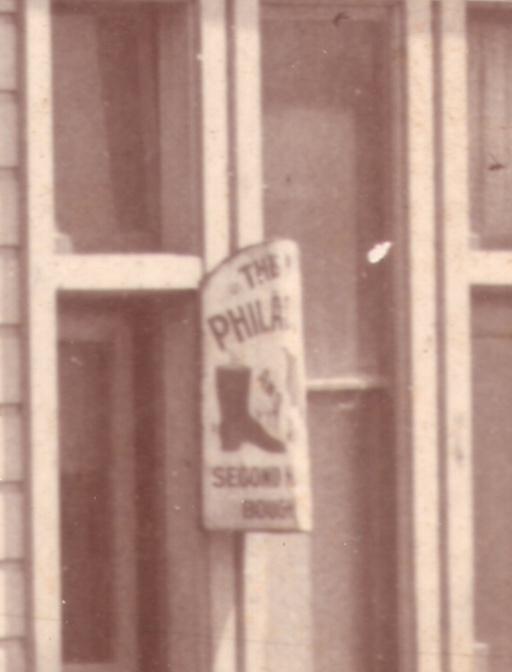 Note the broken glass in the windows and the broken sign. 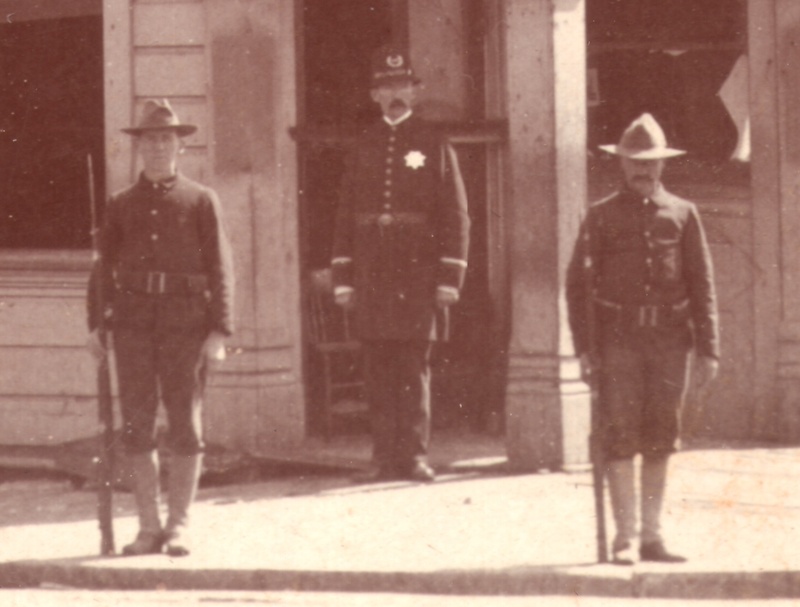 A policeman and two soldiers are standing guard in front of the building. It appears to be a bank. 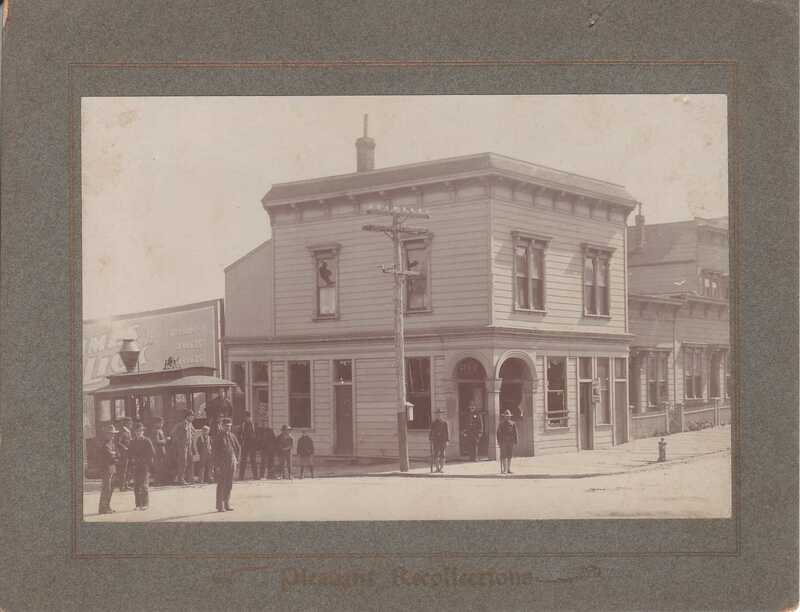 The cardboard border of the photo reads, "Pleasant Recollections". This seems ironic, because the photo shows a policeman and two soldiers guarding a building with broken windows. 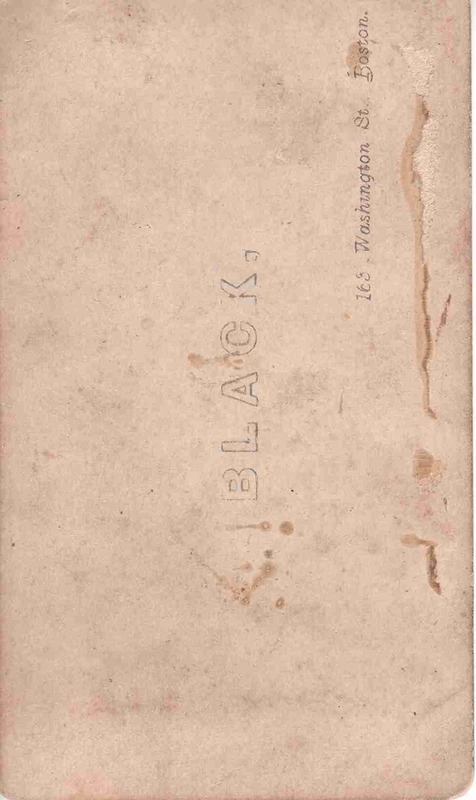 There is no other writing or identification on the photo, front or back. It was saved by Jesse Perry Shore (1877-1950). His military service took him to posts in The Philippines, West Texas, New Mexico, Arizona, New Jersey, and San Antonio. In 1905 he was stationed in San Antonio, Texas and in 1912 in west Texas. In 1916 he was stationed in New Mexico, where the US Army was posted to protect against raids into US towns from across the Mexican border by Pancho Villa's raiders. On close examination, the soldier on the right appears to be Jesse Shore. This is a holy piece made of gilded and red felt, hand-sewn. 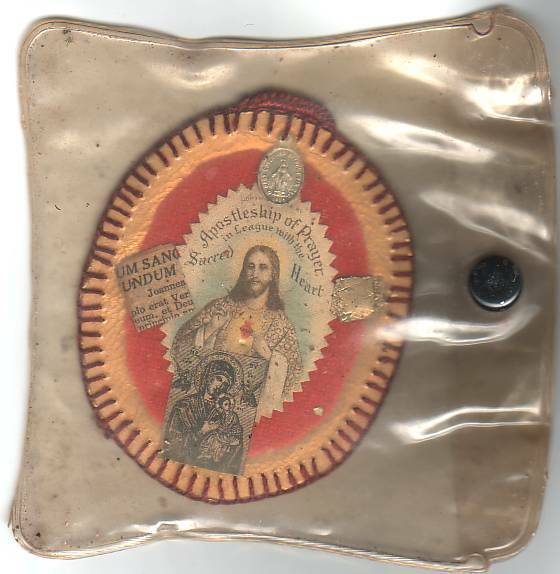 It has the text "Copyright 1915", a silver holy medal dated 1886 and a piece of gold foil attached, a Madonna and Child, and a paper clipping with Latin text. It has a loop for attaching a pin or neck loop. It is oval, 2 inches wide by 2-1/2 inches high. It was saved by Margaret Ann (Shore) Roberts (1910-2004). 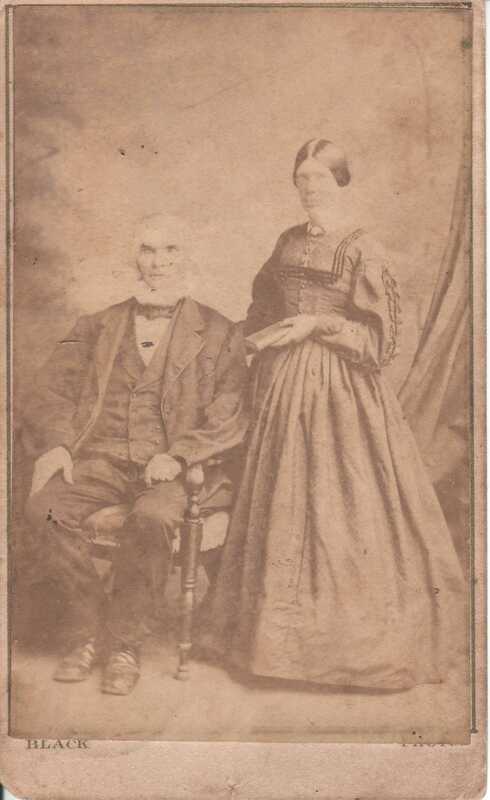 It might have originally belonged to her, or to her mother Anna Agnes (Gaffney) Shore (1872-1946), or to Anna's father James Owen Gaffney (1839-1912) or mother Margaret (O'Reilly) Gaffney (1850-1896). Margaret Ann Roberts also cared for her elderly aunt Camille (Gaffney) Finegan (1877-1971), who lived in Margaret Ann's home until her death. Camille had no descendants, and it is possible that this holy piece belonged to her. Many other holy pieces and books in our family have been identified as to their origin and to whom they belonged. This one has no writing or context with which to identify it. For many years, it must have been dear to someone in our family, but now we simply do not know. The book is "Drelincourt on Death". by Charles Drelincourt; translated from French into English by Marius D'Assigny. It was published in London in 1814. It contains 560 pages. The book is worn. Both covers are detached, the spine is torn, and pages are stained. Nothing is missing, however: all pages and covers are complete. There is no writing inside the book. 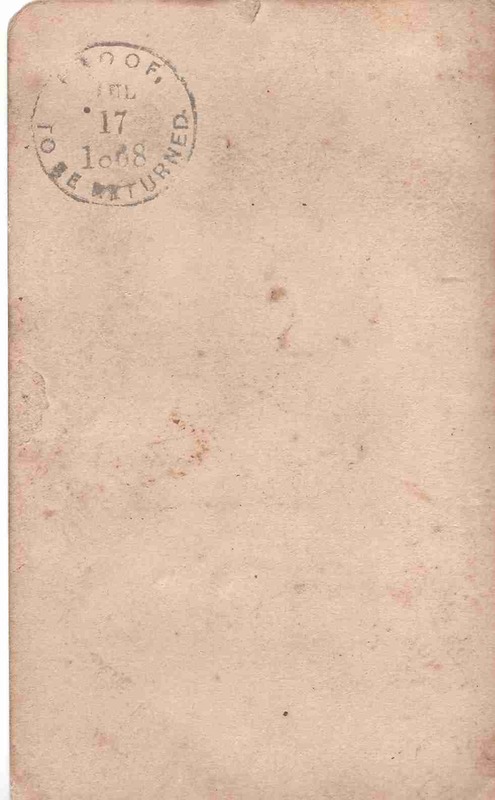 The inside front cover has a small spot of sealing wax where a card or paper had been mounted. The book was kept by Margaret Ann Roberts. She did extensive research and recording of our family heritage, but how the book came into her possession is not known. 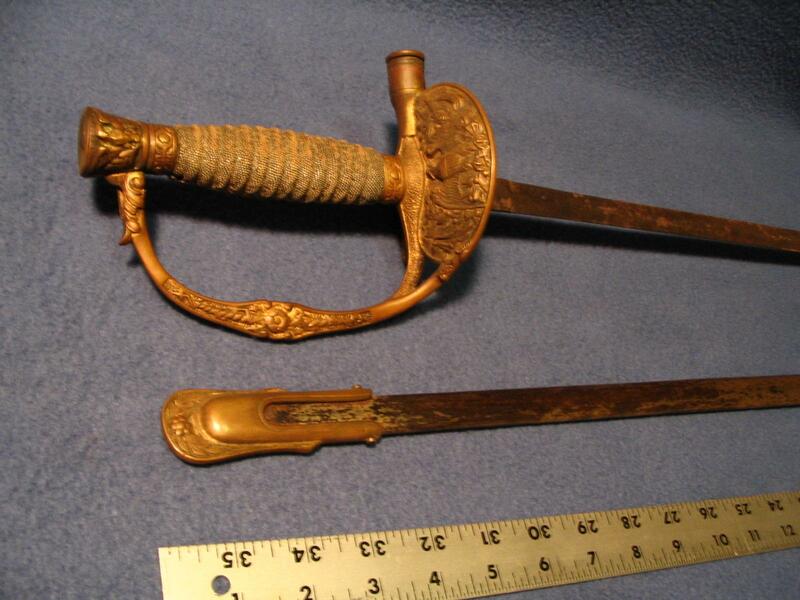 This is one of two military swords in the family. It is complete with its scabbard. 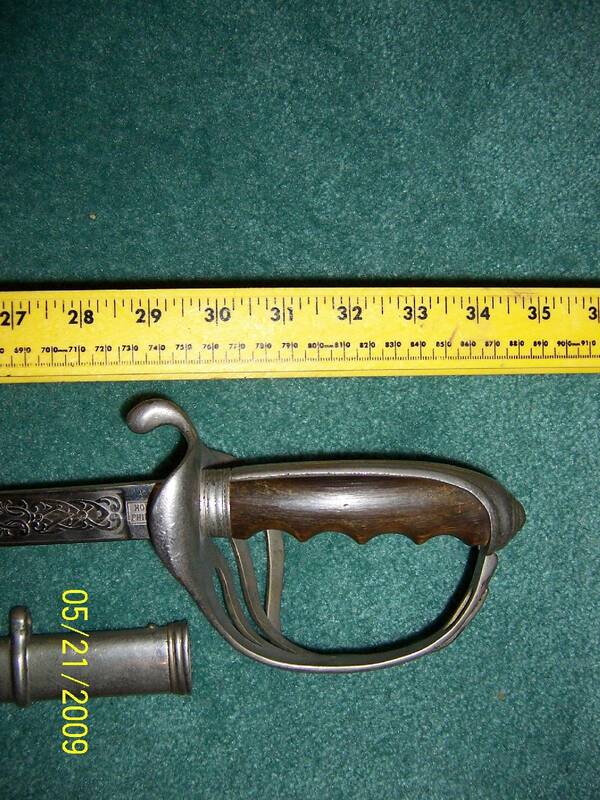 The sword is about 36 inches long. 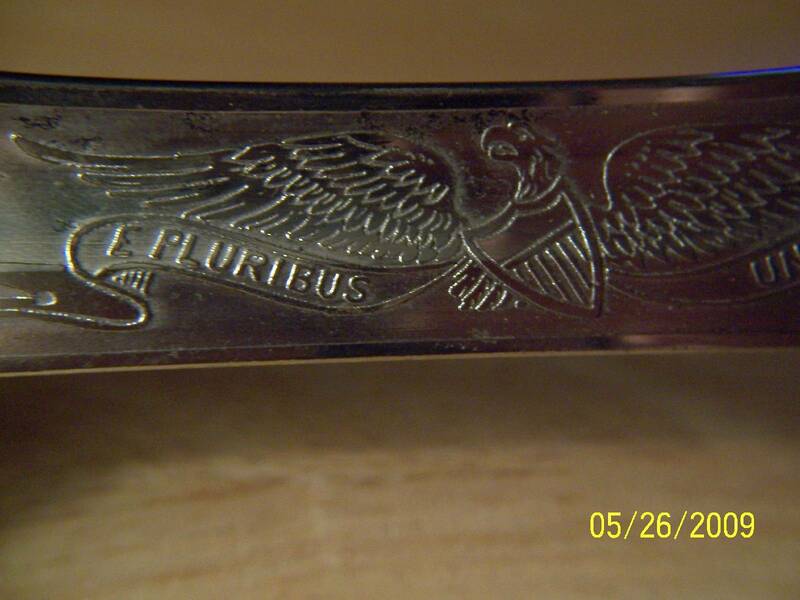 Its blade is inscribed with the initials "U.S". 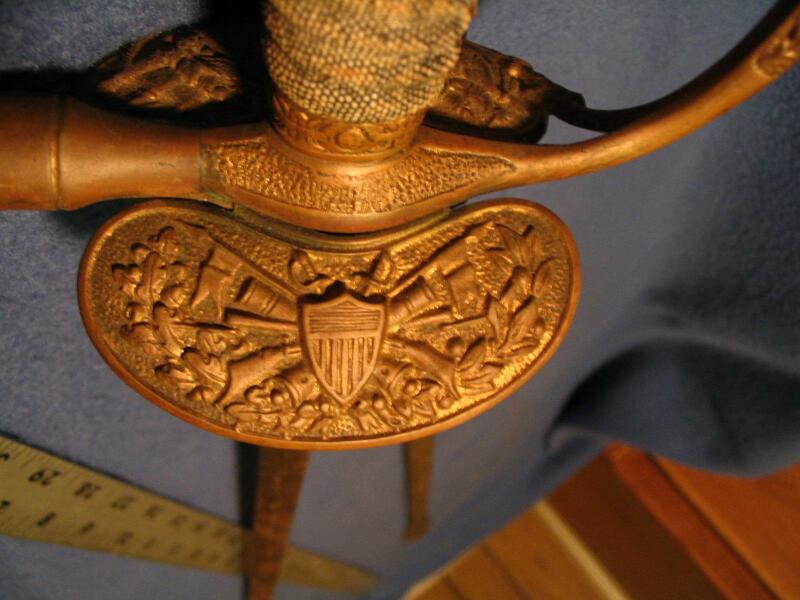 Its hilt has an emblem of a U.S. Army shield with crossed flags. It also has the insignias of crossed swords (Cavalry), cannons (Artillery), and rifles (Infantry), suggesting that it might have been used by an officer of any of these units, or a senior commander of all three. The handle and hilt has a built-in whistle which emits a loud, shrill sound when blown into. William Thomas Shore (1846-1898) served in the 112th Infantry Volunteer Regiment, Illinois. 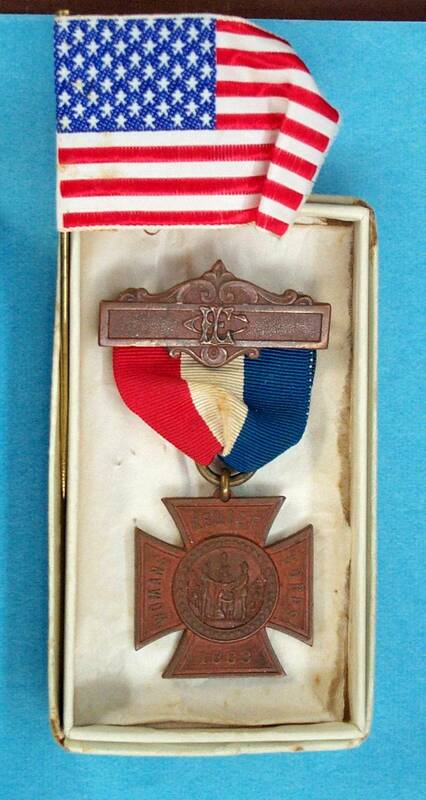 He enlisted in 1863 at age 16, was in the Army of the Ohio, and was in several battles. He was wounded in the Battle of Resaca, May 14-15, 1864, and spent eleven months in hospitals before being mustered out after the war's end in 1865. 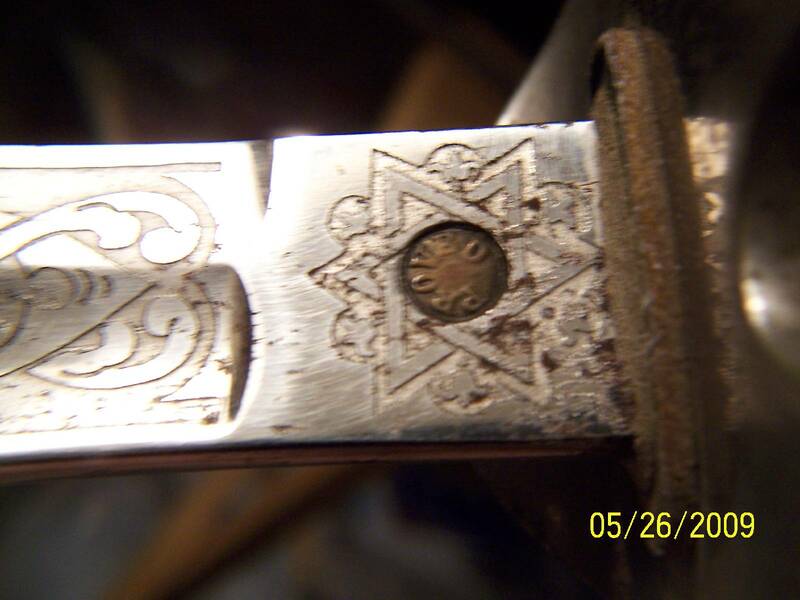 The sword might have been brought from the war by William but do not know for certain. It was kept by William's son Jesse Shore (1877-1950). Also, Jesse Shore served in the U.S. Army during the Spanish-American War (1899), in The Philippines. Possibly the sword dates from that time. 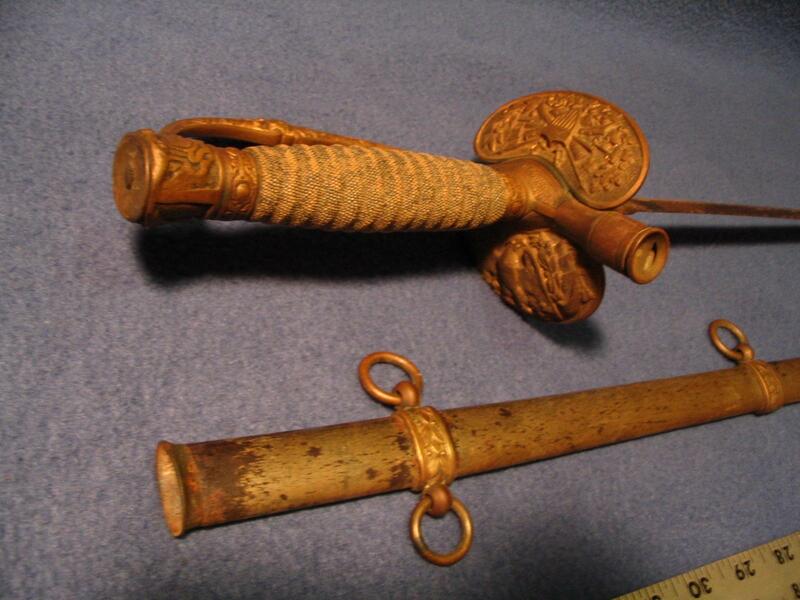 The sword's purpose, whether it was used in action or was ceremonial, is not known. Its original owner is not known. 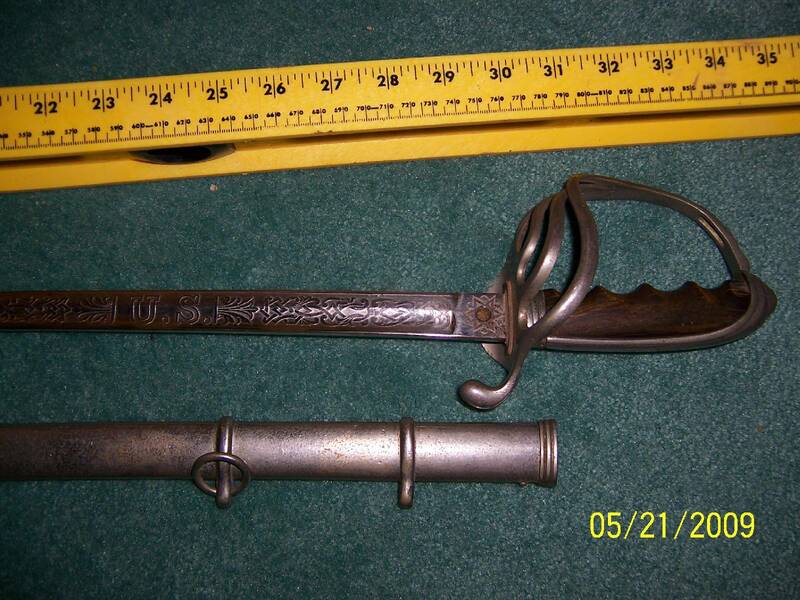 This is another military sword in the family. 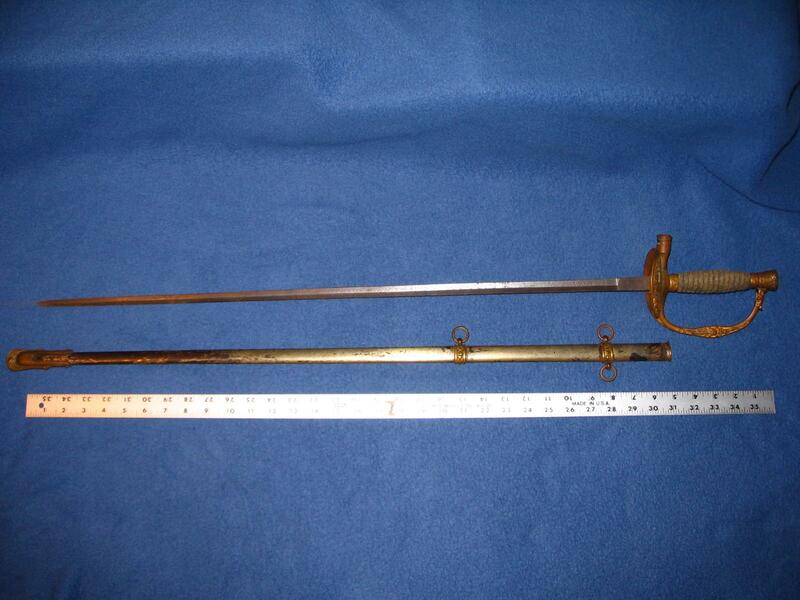 The sword is about 36 inches long. Its blade is inscribed with the initials "U.S", an emblem of an American eagle with a United States banner and shield, and the word "PROVED". 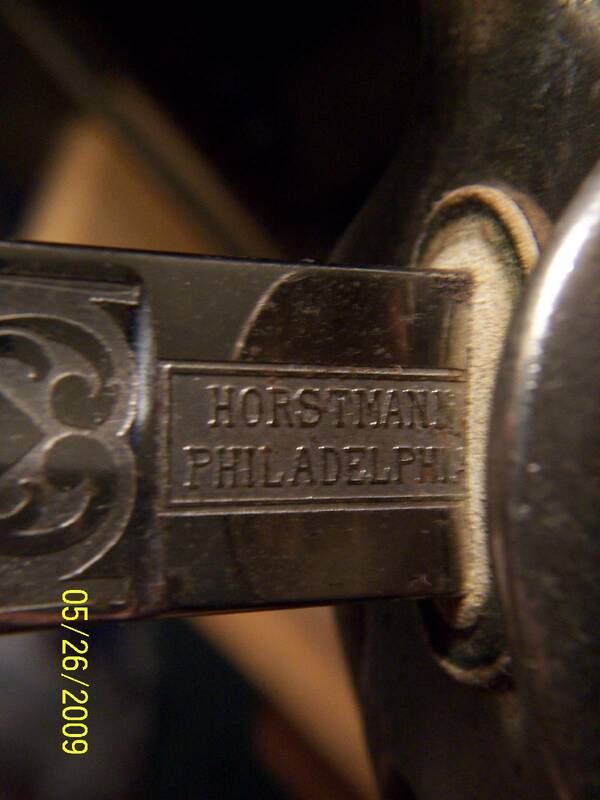 It was manufactured by Horstmann in Philadelphia, a maker of swords in the Civil War era. 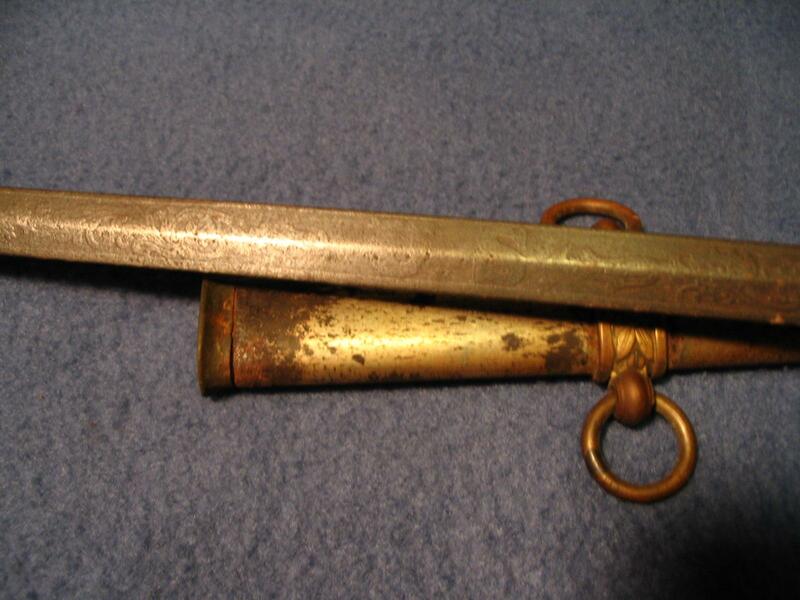 Like the other sword above, this one might have been retained from the Civil War by William Thomas Shore (1846-1898). It was kept by William's son Jesse Shore (1877-1950), then given to Jesse's grandson Carl Thomas Green. In 1883 the Woman's Relief Corps organization was founded for women of families who served during the Civil War, in the Grand Army of the Republic. In later years its membership was further extended as a patriotic service organization for women. 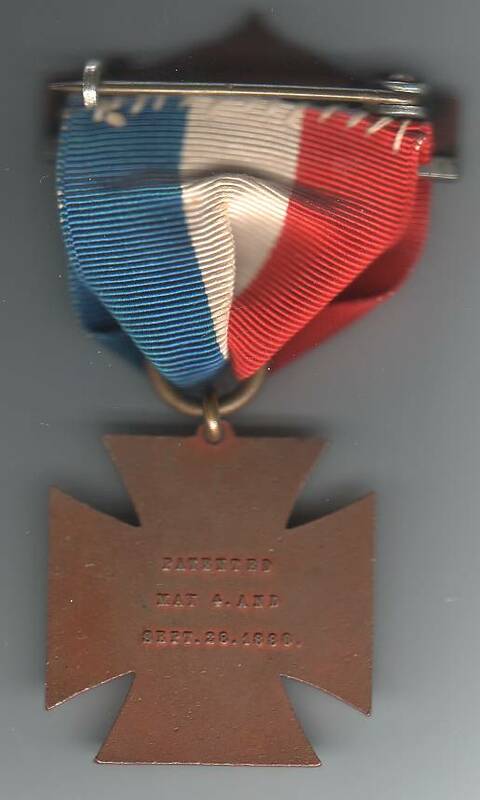 The letters "F C L" superimposed and embossed on the bar pin at the top of the ribbon stand for the organization's motto: Fraternity, Charity, Loyalty. The medal shows a Goddess of Liberty, a Woman, Children, and a Soldier. They are encircled in a wreath of stars. The flag pin appears to be modern. It was found inside the box with the medal. 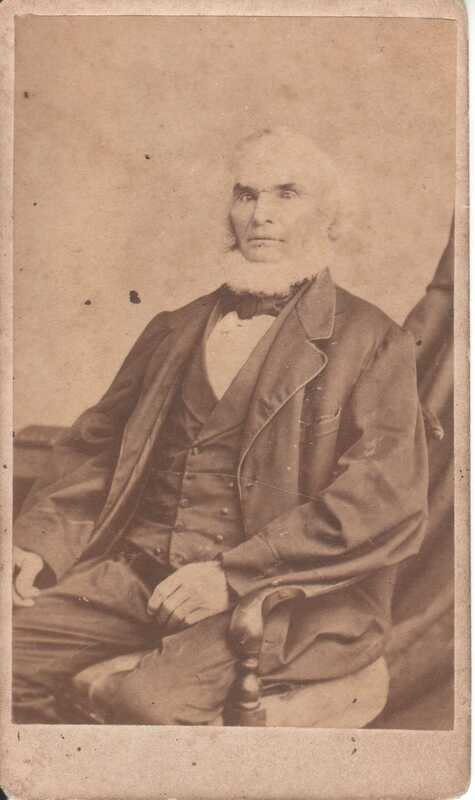 William Thomas Shore (1846-1898) served in the Civil War. 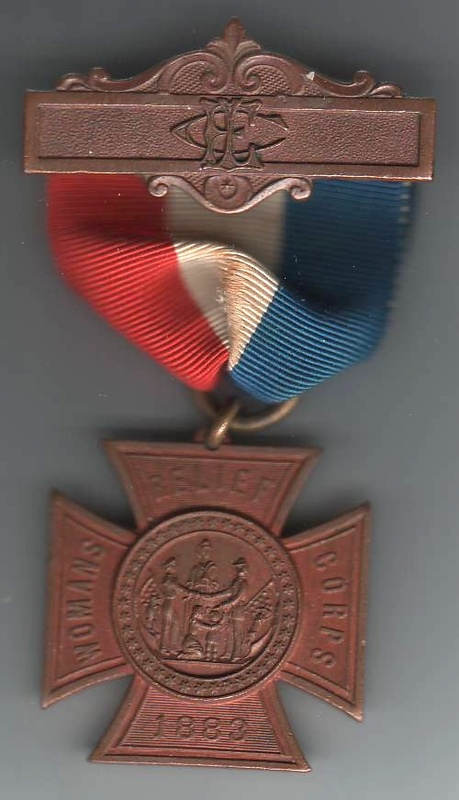 The medal was kept by William's granddaughter Margaret Ann (Shore) Roberts (1910-2004). We do not know who was the original owner of the medal. William Brandenburg receives a judgement from the Ohio Supreme Court on the matter of allowing a game of "hussel cap" to be played in an "out house" on the premises of his public house. The game is determined to be "for personal goods of the value of twenty dollars" and "not of Athletic exercise", being played "against the peace and dignity of the State of Ohio." Today, does anyone know how to play "hussel cap"?